The document software solution consists of a mobile and Web app and a central server which allow users to easily design customized form templates according to the document type needed. DataCapture users will greatly appreciate its mobile app, equipped with a user-friendly interface for easy data gathering from any AndroidTM-driven device, while the iOSTM version is to be released shortly. 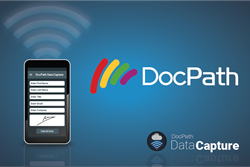 DocPath presents DataCaptureTM, a document software solution for easy and secure data collection and management from any mobile device. DocPath, a leading document software provider, has recently announced the official launch of DocPath DataCapture. This multi-device document software solution puts a stop to manual data collection and overloaded document processes by providing organizations with a flexible, online data-gathering and document automation tool. DataCapture greatly streamlines any operation or process requiring quick and customer-friendly gathering of data, such as occupational medical examinations and patient records in healthcare, student admissions and loan approvals in education, policies and claims for insurance companies and account opening forms, hotel check-in and contracts at banks, among an ample range of options. DocPath´s latest document software solution consists of a mobile and Web app, for smartphones, tablets and PC, and a central server which, combined, allow users to easily design customized form templates according to the document type needed and then use those templates to collect data at any time and place. Users can also use the data to automatically populate a document (policy, request, record, report, etc...) and view the document on their PC, smartphone or tablet. DataCapture users will greatly appreciate its mobile app, equipped with a user-friendly interface for easy data gathering from any AndroidTM-driven device, while the iOSTM version is to be released shortly. And if there is no network available, DataCapture users can work offline, enabling them to really be able to collect data anywhere and anytime. Likewise, another key characteristic of DocPath´s flexible mobile data collection document software is data security. With DataCapture Gathered data is kept safe and sound as it travels in encrypted format to the main servers, where they are stored in controlled environments. On the other hand, the document software solution´s central management tool gives designated system administrators full control of all processes performed within the DataCapture environment, from data collection, template versioning and assigning user permissions, to generating the populated document for viewing, printing or distribution. The DataCapture document software offers companies of any size and industry an advanced, flexible and easy-to-integrate document process automation and data collection tool that turns the data-gathering process into another opportunity to boost efficiency levels and build customer satisfaction. Disclaimer: Android and Google Play logo are Google Inc. registered trademarks. IOS is a trademark or registered trademark of Cisco in the U.S. and other countries and is used under license. DocPath is a DocPath Corp. registered trademark. All rights reserved. Other mentioned trademarks may be property of their respective owners. Brief introduction to our company and clients.Brief introduction to our company and clients.